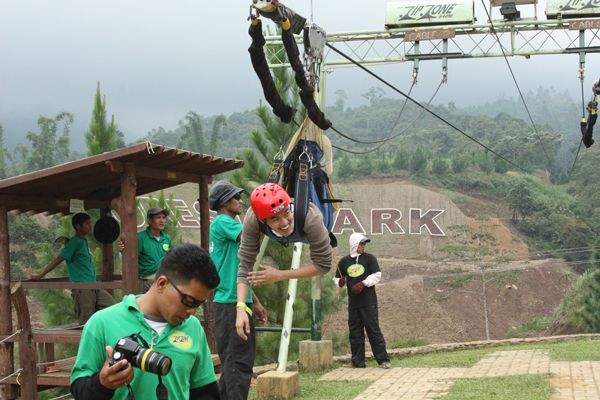 the way of the dress: Day 179: WOW DAHILAYAN ADVENTURE PARK! 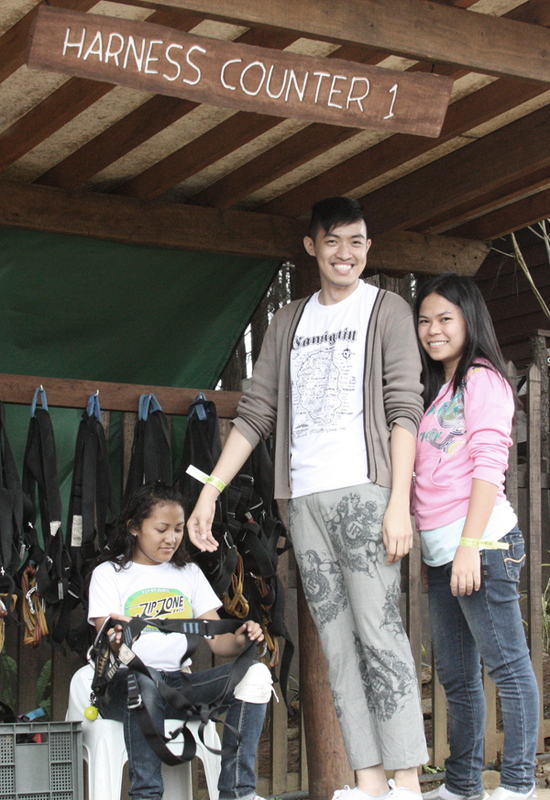 Day 179: WOW DAHILAYAN ADVENTURE PARK! 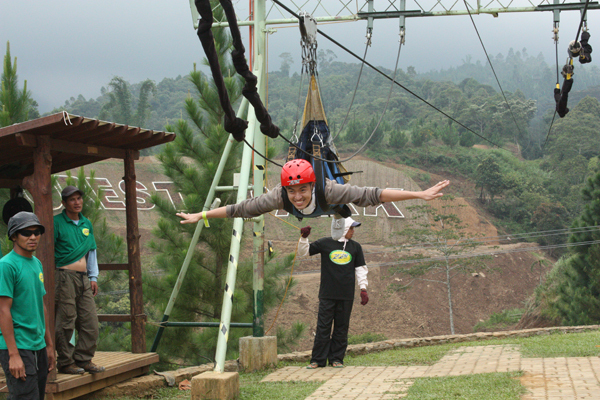 To get to Dahilayan Adventure Park from Manila, simply take a 1-hour flight to Cagayan de Oro (the city of GOLDEN FRIENDSHIP!!!) via Airphil Express, Cebu Pacific or Philippine Airlines. 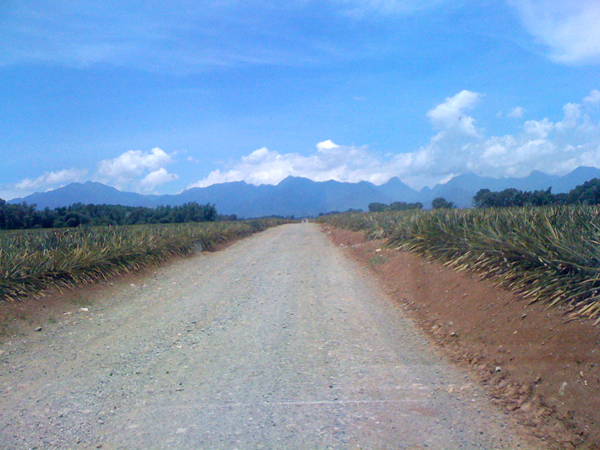 Either pre-arrange a trip from www.dahilayanadventurepark.com or find your way to Dahilayan Adventure Park in Bukidnon via Bus, Jeep or Taxi or a combination. 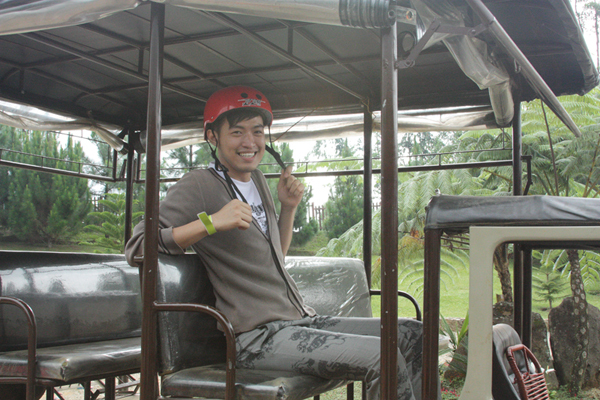 It took us around 2 hours from Cagayan de Oro to the park itself. 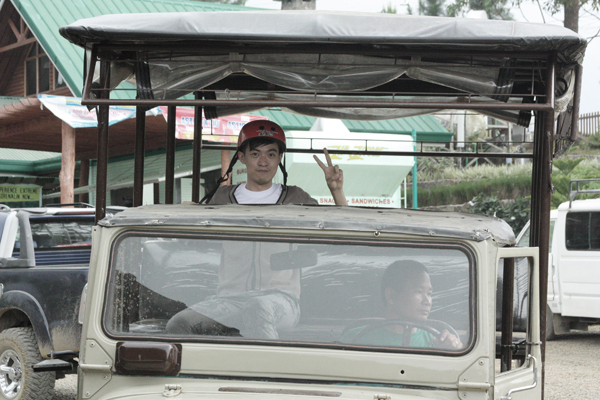 Prepare for a very scenic (and bumpy) ride. Enjoy the park and DO AS MUCH AS YOU CAN. ALL THE FEES ARE WORTH IT! 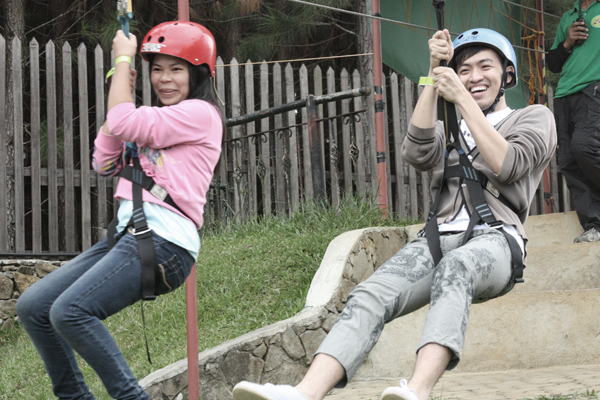 You must try the Zorb, the bouncy-thingie and of course the ZIPLINE!! 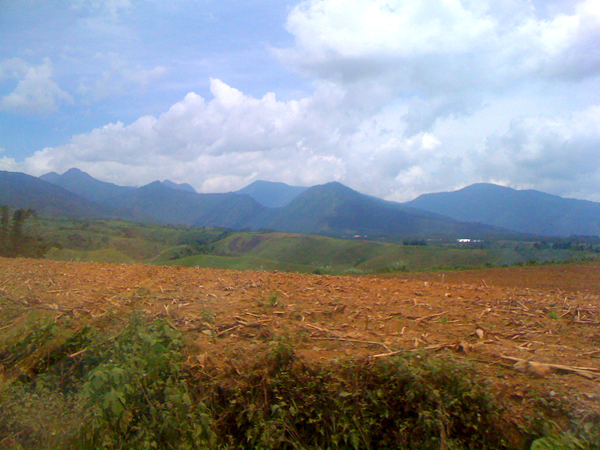 You will go through an hour's worth of rough road but the views are quite the relief! 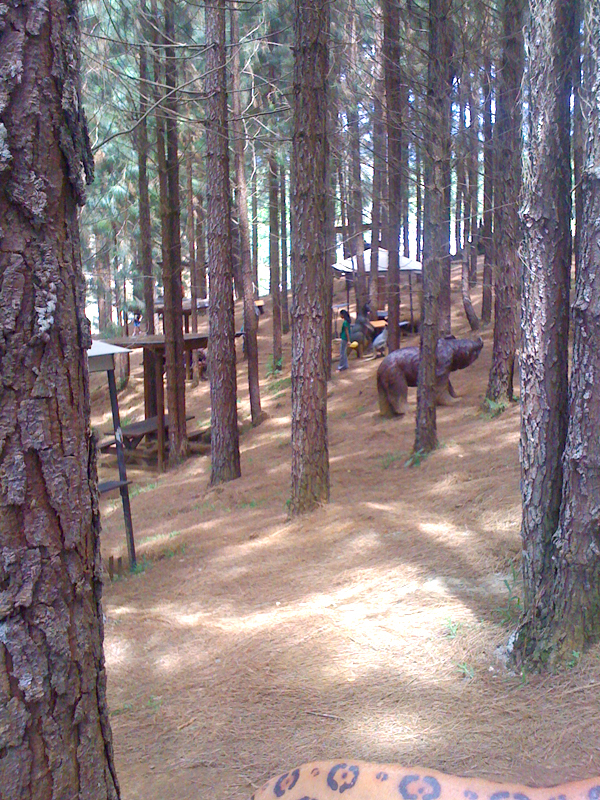 The place is pretty much like Camp John Hay in Baguio City except it's actually VERY CLEAN and WELL MAINTAINED. I'm saying this because the last time I was in Camp John Hay I was not able to enjoy myself because there were too many dead leaves, catterpillars and ants! 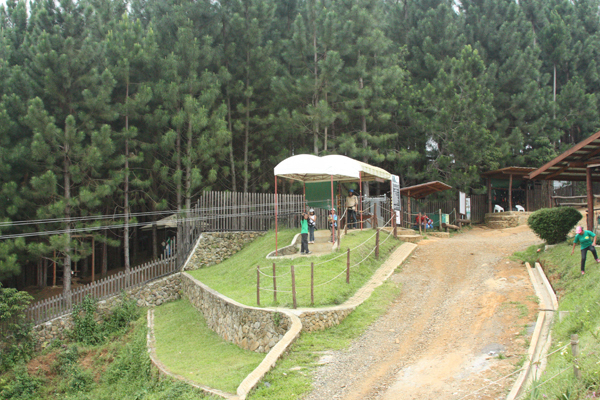 This park however lets you enjoy the cool clean air and the trees without having any fear of getting rashes. 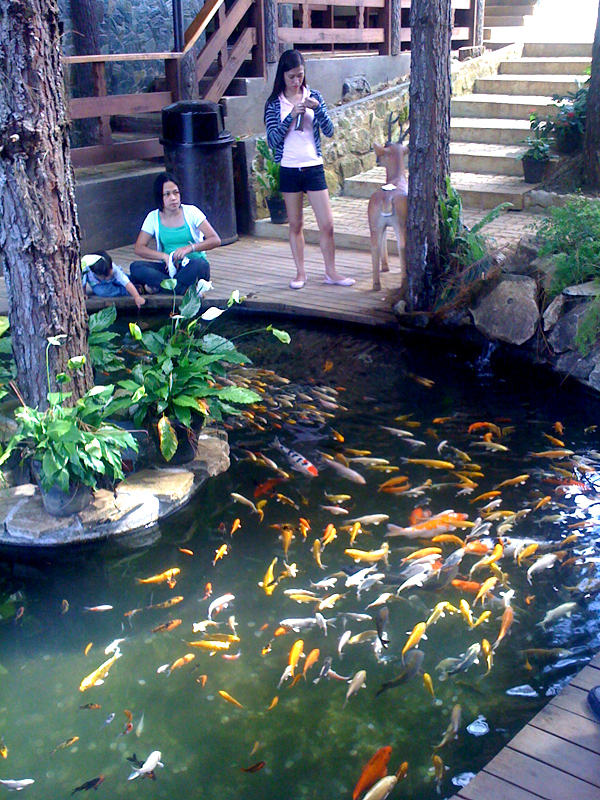 A very pretty Koi Pond lets you think about life and perhaps you're the only one in the world who doesn't own giant goldfish. 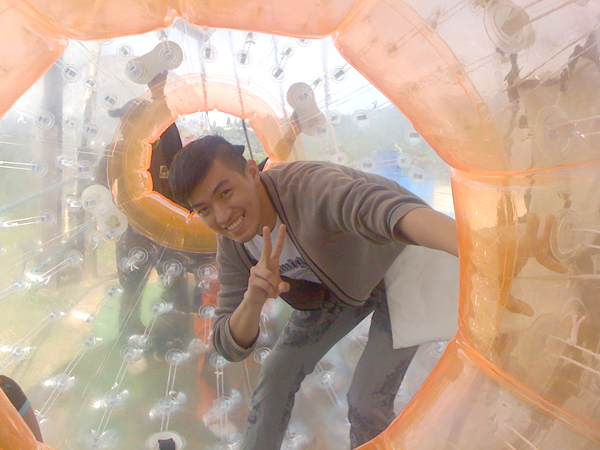 A panoramic view of where the Zorb Ball will slide and tumble down. Notice how the Zorb looks very much likely to BOUNCE OFF into the deep crevice below the mountains. THRILLING!!! 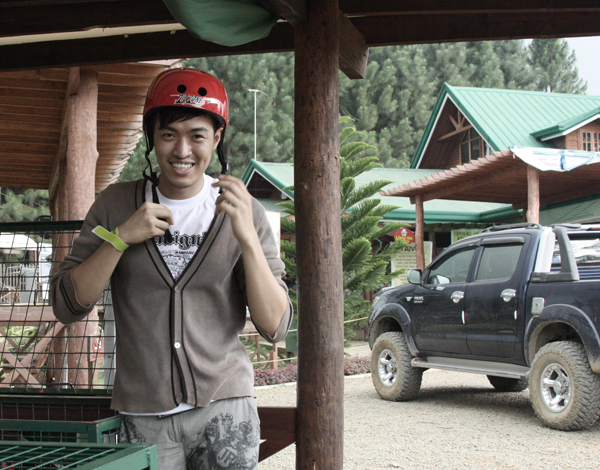 Smiling for perhaps the last time... right before my Zorb ball will fall off into the mountains. Ok so obviously I survived the ZORB BALL OF FURY! IT WAS INSAAANNNEEEE!!! 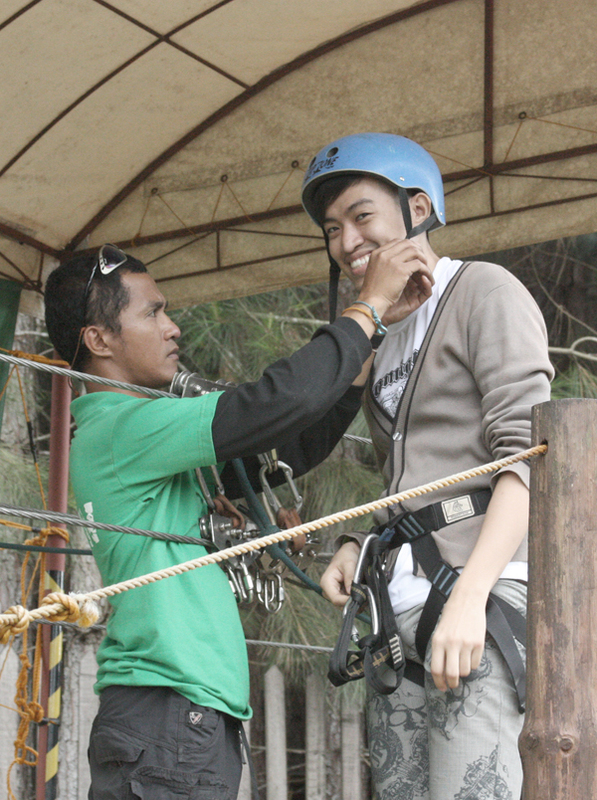 So on to PART ONE of the Zipline. My new favorite area, "THE HARNESS COUNTER". In my new house I will have a room named after this. A word of advice to males, adjust your jewels BEFORE getting on the wires. It provides for a more enjoyable and pain-free experience. This is the view opposite the Harness Counter. 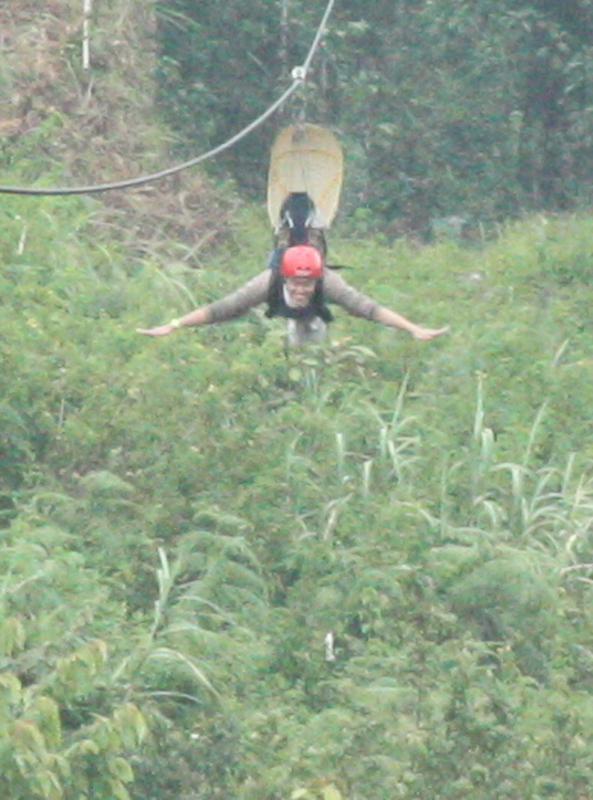 As you can see, as soon as you let go, STRAIGHT DOWN YOU GO! NO REGRETSSS!!!! 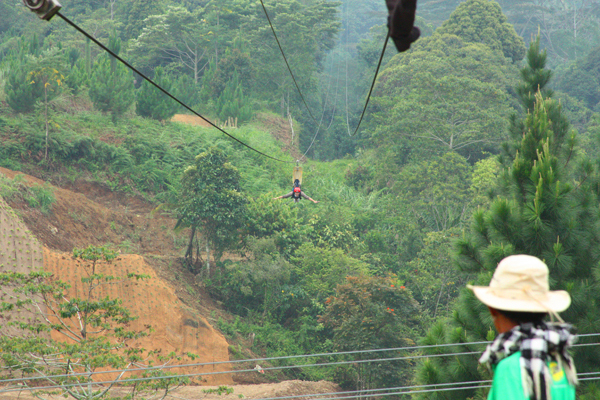 It was such an adrenaline rush! 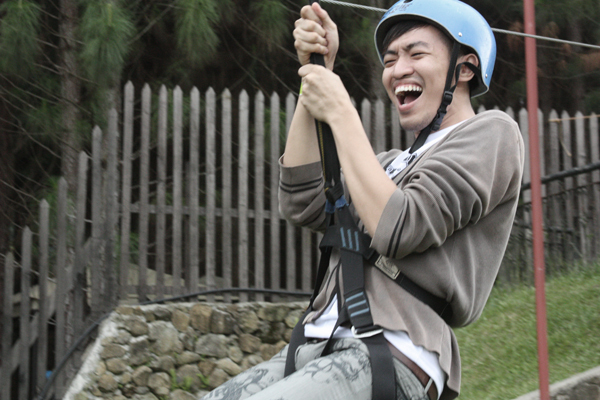 They didn't even let me rest after the first two ziplines! 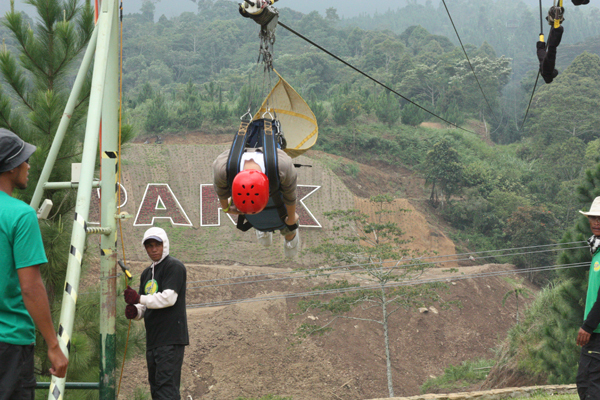 I'm IMMEDIATELY off to the 800m zipline VIP style. From the ticketing office they will take you UP UP AND AWAY to 4000 feet above sea level, RIGHT ON THE CHEEKS of Mount Kitanglad!!! You have exactly 5 minutes to realize what the hell you've gotten yourself into. When you get up there, they will set you up, give you instructions, possibly teach you BISAYA and wish you good luck, and PUSH YOU! The first 10 seconds of the drop are the most HORRIFYING! You immediately FEEL that the you will plummet down into the forest and die. But no sooner than you can scream "Holy shiiiii" you realize how lucky you are to experience such an adrenaline rush. 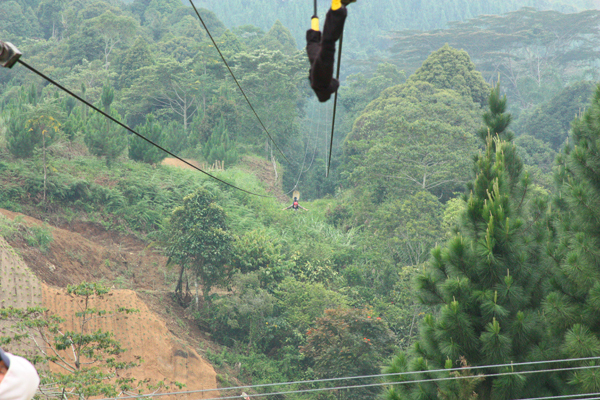 Nature + near-death experience = MAJOR LIFE MOMENT. I actually cried a little bit halfway through. No I'm NOT DEAD here. When you reach the end you're supposed to take this torpedo position: arms to the side and head down. It's supposed to help with your landing I think. Then you realize it's over and you wanna do it AGAIN! Thank you very much FIP Cagayan de Oro and Miss Mimi and Sir Rommer Pimentel!! !